Louise Joy talks to rollercoaster engineer Mike Denninger about the importance of teaching STEM in schools and his own personal experience of STEM education. 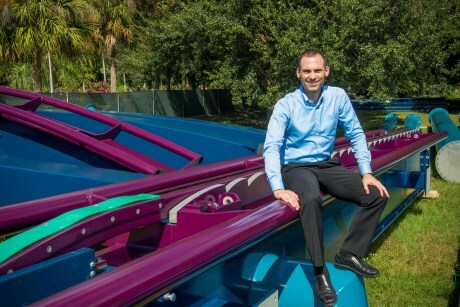 Mike Denninger is an attraction designer and engineer, currently leading and implementing aspects of ride design at SeaWorlds Parks & Entertainment. He has worked there for 25 years and is a registered professional engineer. Between 16th and 19th March he attended the Big Bang Science Fair in Bimringham to talk to school children about his career and the importance of Science, Technology, Engineering and Maths. School Travel Organiser caught up with him to talk about his own experiences of learning the STEM subjects and what they mean for the future. 1. 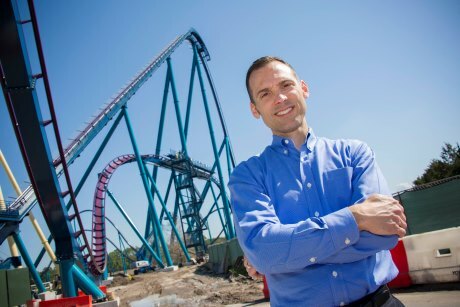 How did you become an rollercoaster engineer? Whilst I actually never grew up with a dream job in mind, I always knew that Maths was my favourite subject and wanted to study it further. I’ve always had an analytical mind and love thinking around a problem and working hard to understand the world around me. I went on to study for two degrees in Mechanical Engineering at the University of South Florida. I started working in theme parks as a ride operator when I was younger as my first job in school and the environment thrilled me. I progressed upward into working on projects, and when I saw a job being advertised to design and create rollercoasters that would use my skills, I jumped at the chance! 2. What brings you over to the Big Bang Science Fair? 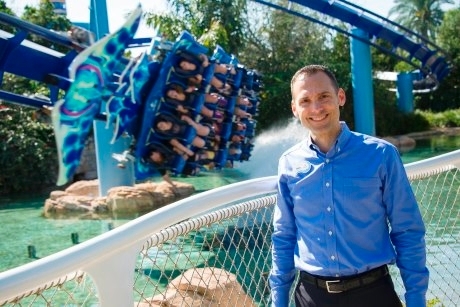 SeaWorld Parks & Entertainment as a company has always had a focus on outreach and opening people’s minds, whether that be with world-first rides or a better awareness of conservation. My own personal aim for the Big Bang Fair is to make sure that kids know just how cool Science, Engineering and Technology can be. If you have an interest in the STEM subjects, there are some amazing jobs out there. The old stereotypes of Maths or Science being boring are just not true - they are the things that shape our world! I vividly remember a couple of teachers who really brought STEM to life in school and I can honestly say that they have shaped my whole life. I want to be the person who inspires this generation of young minds. This kind of event is so key in making kids see that STEM is about so much more than what they are taught in the classroom – seeing is the best way to learn and this event is full of hands-on, engaging experiences. 3. Would you say your own education in STEM helped prepare you for your role today? Without a doubt. If I hadn’t had my education and the level of skill that I have worked so hard to develop, I would never have been considered for this role. There are so many different elements to consider when you design a rollercoaster – the fun element, the Physics of the movements, the magnetic forces at play. I could go on and on. An education, and learning STEM subjects especially, might not seem as fun as playing football or playing video games but if you want a career that is interesting and stimulating, you need to learn. It is down to the teachers and adult influencers to ensure that these subjects are shown to be as fun as possible, after all, they are some of the most fascinating subjects in the world. The more I developed my mathematical skills the better I became at everyday decision making and analysing. People often forget that many of the principles learned in the classroom can improve our everyday lives. 4. How important do you think it is to teach STEM in schools? I can’t emphasise enough how vital it is that STEM is taught, and taught well, in schools. Catching a young, inquisitive mind early and showing a child how these subjects can take their lives on an amazing journey to a dream career is key. The trick is in the delivery. There is no need to stand and lecture a child on key principles and concepts, instead take them out into the wider world and let them see how everything works based on these principles. Teaching a child that they should rely on their own brain power and skills is really valuable, an active mind is a powerful thing. 5. Do you feel that STEM is something that can be taught outside of the classroom too – and if so, how? Absolutely – it can even be better outside of the classroom. I have spent years learning and getting an education, but I also learn on the job and these are the days that I love the most. Coming home at the end of the day knowing that I have learned something new is one of the most rewarding things imaginable. Many of our rides are themed around animals, such as Cheetah Hunt which mimics the hunting patterns of a cheetah or Mako which is based on the fast, agile Mako shark and this means that I work closely with the zoological teams to make sure that we are accurate with our theming and ride patterns. It’s always really fascinating to learn more about a new discipline and it adds another level to my own job. 6. How can children learn more about STEM subjects in their own time – if they want a career like yours, for example, how would you suggest they get involved more in STEM practices when not in school? Learning in general is best done as young as possible as your mind is like a sponge waiting to soak up knowledge. Ask questions when you see something and don’t understand how it works. Ask when you don’t understand anything. Don’t be afraid to be curious and to explore. The internet is a valuable resource for kids, so google things that are interesting. Use videos and experiments to bring subjects to life. 7. What do you think the possibilities are for the future of students who want to study STEM? There are endless possibilities for children who study STEM subjects nowadays, nearly every sector has a tech element now. Theme parks specifically are at the cutting edge of technology and science and every new ride requires a new set of skills. Innovation drives growth in the STEM sector, this makes it a thrilling place to work and also a very healthy area for opportunities. 8. Could you tell us a bit more about the eventual jobs children can have by studying STEM? Any jobs in particular that might inspire them more? The phrase ‘the world is your oyster’ doesn’t even apply – you can go into space or design cars with a great STEM education. You could end up anywhere, from engineering for space exploration, for under the sea, new buildings or new medical technology. I am particularly fascinated by renewable energy technology, both how to create it and how to store energy, and I foresee this being a massive area of development over the next few generations.